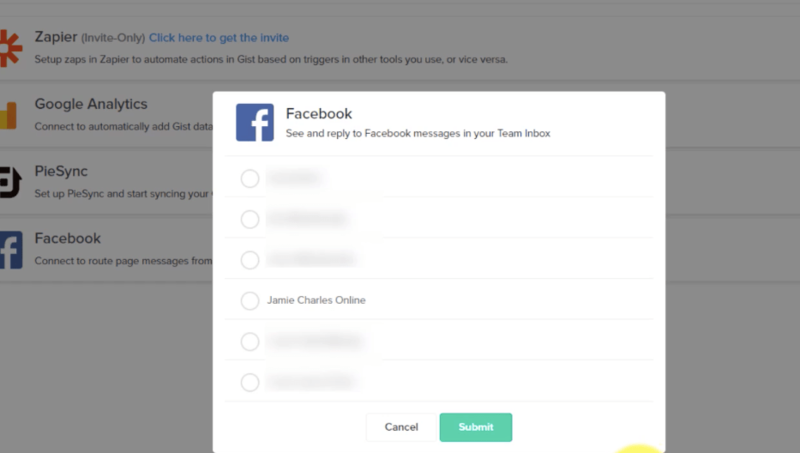 Receive, respond to, tag and track your Facebook messages from inside Gist! 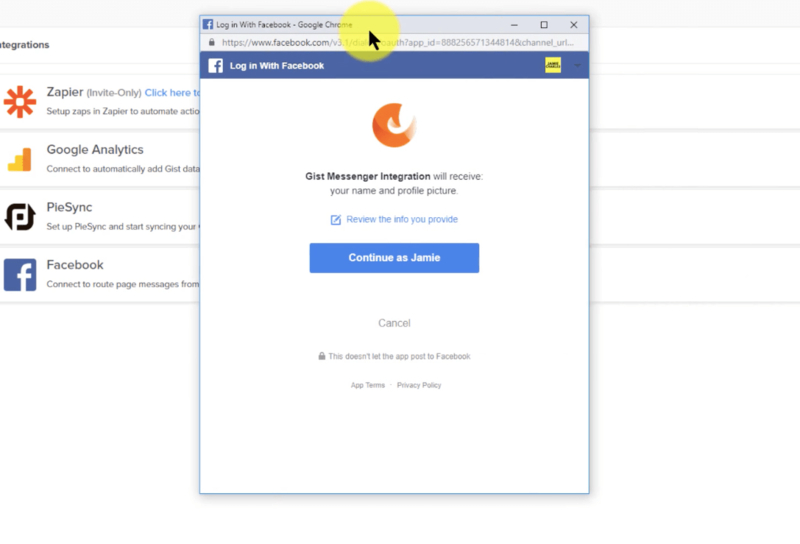 Now, Gist integrates with Facebook messenger. You and your team can manage all of the messages from the most popular social platform inside of Gist. Think about it. Tagging, tracking and monitoring Facebook conversations in real time — just like you already do with our Live Chat and Email Marketing features! Want to know how to get it all setup? Once you are in the Gist Dashboard, check the left hand sidebar. 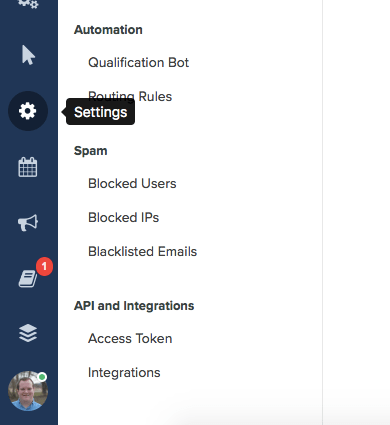 Note: If you don’t see “Settings” at first, try scrolling directly on top half of the sidebar itself. 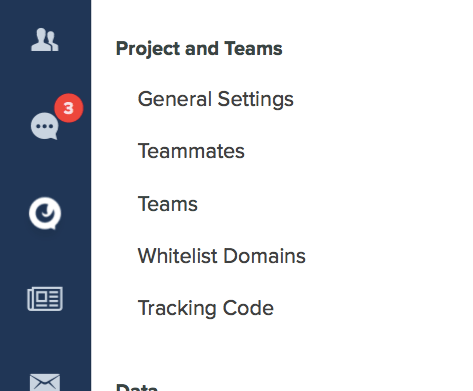 Once you’re in settings, scroll down to the bottom of the menu next to the sidebar and find “Integrations”. Clicking “Connect” will open up a pop-up either asking you to sign in or asking if you’d like to continue. The next pop-up will show all of the pages you control. Click the right one(s) to connect to Gist and it will be all set up! To keep things as simple as possible, the messages from Messenger (say that 10x fast) will go into the same place as all other messages. In order to differentiate, there will be a small Facebook logo on the messages that came in from there. Answering your Facebook messages in Gist will show up in real-time in Messenger for your prospects to read. There will be no lag and you’ll get all of that sweet data to use in furthering your business. All of us here are incredibly excited about what this Facebook feature means now and what it can be in the future. We hope you are too! If you have any trouble or just want to get some ideas on how to better use Gist for your business — get in touch with us.